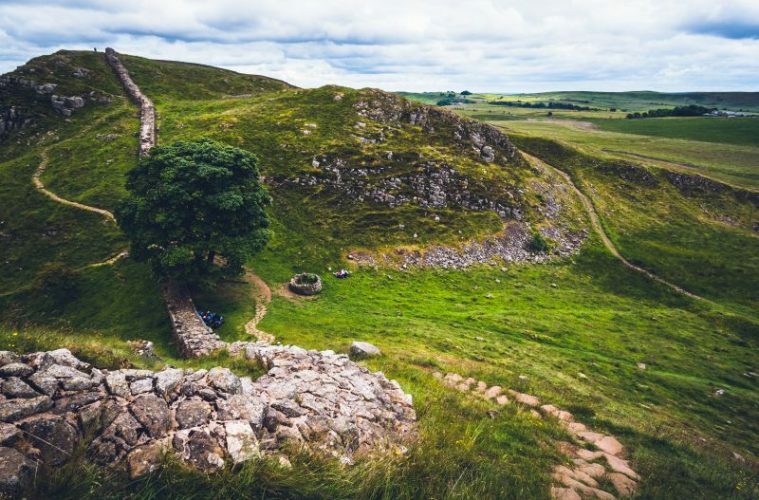 The full Hadrian’s Wall path, along the World Heritage Site, is one of Britain’s many national trails and runs for 84 miles from coast to coast. Having walked its length, the most spectacular section of the walk is the middle section so, for a two-day trip, this area a great place to explore. It can be walked in either direction and affords stunning views of Northumberland and the North Pennines with the wall itself and roman forts adding to the scenery. If you want to enjoy some of the sights along the way try to avoid planning long days. On the first day start in Banks and walk 10.5 miles of the path via Birdoswald, through the village of Gilsland to Great Chesters. Walking this route eastwards, the scenery gradually becomes more and more spectacular. Stops along the way to view the Roman forts can be made at Birdoswald and Great Chesters (Chester meaning sites of a Roman fort), but the wall itself is impressive, punctuated with turrets and milecastles at military regularity. Starting out from Great Chesters the next day, the scenery is the most spectacular yet. 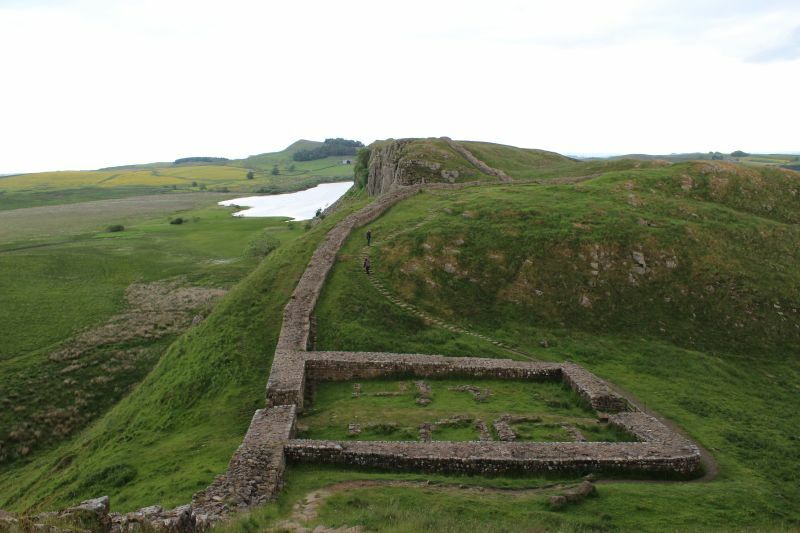 The path now follows a north facing escarpment which Hadrian’s Wall exploited as a defensive position. This scarp is followed for the entire day and the elevated position gives great views for the walker. 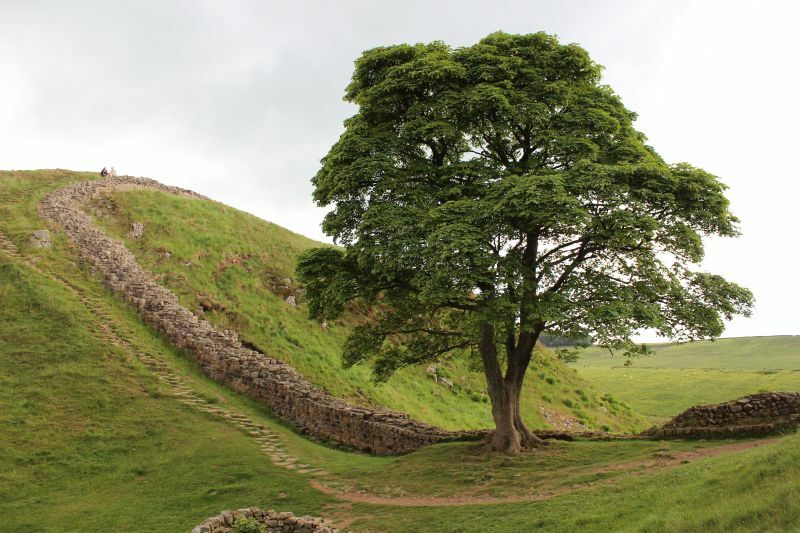 The path rises and falls, sometimes with steep steps, and takes in sights such as one of the most photogenic spots along the wall; Sycamore Gap, where a lonely sycamore tree resides. The day can be concluded at Housesteads or by continuing along the scarp to Sewing Shields. At eight miles, it is shorter than the previous day, but involves more hills, so it takes similar length of time. 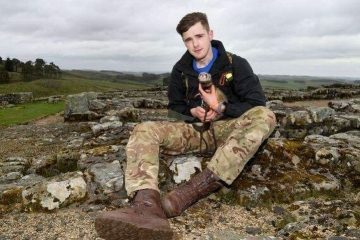 The combination of these two days gives a walk which is both accessible and has dramatic scenery with a unique experience of walking next to Roman ruins. Being a linear route some planning needs to done to coordinate transport and places to stay. 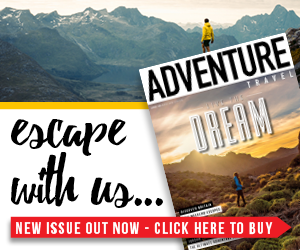 As it is a national trail there is plenty of information on the National Trails website. There are regular buses which link to sections of the path and the main sites. The national trails website has an excellent route planner to help with initial planning. You’ll need several OS map sheets to cover the entire path so the best map to have is the dedicated Harvey’s Hadrian’s Wall map. There are several guidebooks that cover the path including the Cicerone Hadrian’s Wall Path as well as The Official Guidebook by Anthony Burton.